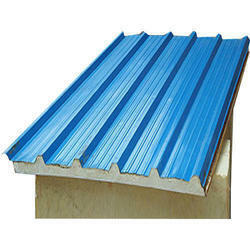 Offering you a complete choice of products which include sandwich puff panels, sandwich panel and insulated sandwich panel. Since, heating or cooling is one of the largest operating expenses in a building. Hence it is important that each building has good thermal insulation that suits the usage of the building. Our company specializes in offering high quality Sandwich Panel which meets the requirement of customer, we are offering wide range of sandwich panels of different range of thickness. We offer our client the cost effective prices to meet the requirements accordingly. We are backed by a team of highly skilled professionals and successfully offering the very durable range of Insulated Sandwich Panels manufactured using quality approved raw material and advanced technology. The products offered by us are used in commercial buildings and other similar places. Apart from this, offered range can be customized by our experts according to variegated needs of clients. 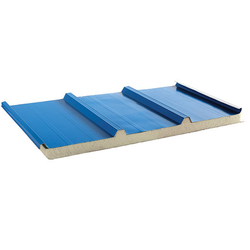 Looking for Sandwich Puf Panels ?